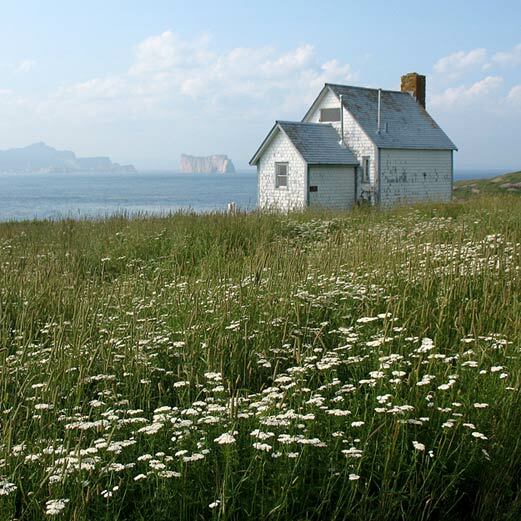 Just off the eastern coast of Gaspésie (in French, “Land’s End”), sits the small island of Bonaventure. No longer inhabited, it was once a thriving fishing village of Irish settlers who braved the fiercely cold North Atlantic to build a new life in the new world. 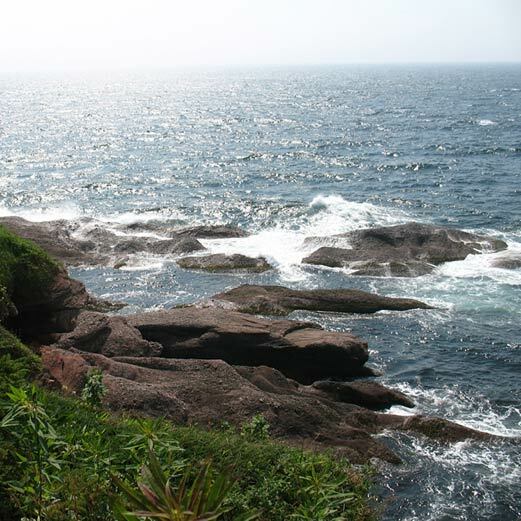 Bonaventure’s citizens embraced the beautiful solitude of the island, learning and preserving its every plant and creature. They were known to be friendly, eccentric people whose love of nature gained the admiration of the Québecois living on the mainland. Today those pioneers would be happy to see the handfuls of tourists who take a tumultuous boatride during the brief summer season to walk their paths, visit their houses, and see the animals whose homes have still never been disturbed. Gray shingle houses dot the landscape of Bonaventure Island. Inside are vividly-painted walls and elaborate, beautiful furniture. Each home stayed within the family, leaving relics of several generations in one small space. 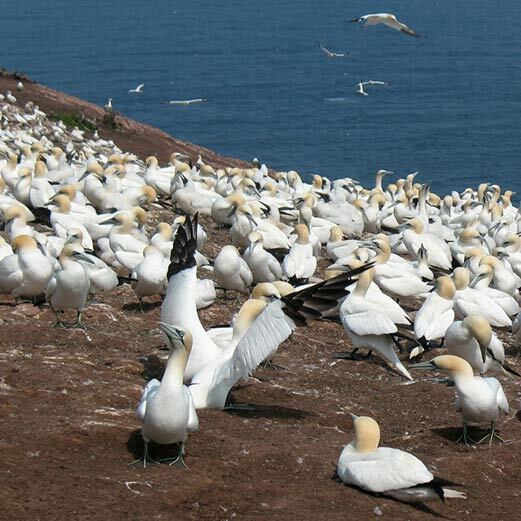 Bonaventure is home to the largest Gannet colony in the world, and depending on the wind direction, their squawking can be heard from nearly every point on the island. The desolate shores are endlessly peaceful, and the water shines like sun on glass.